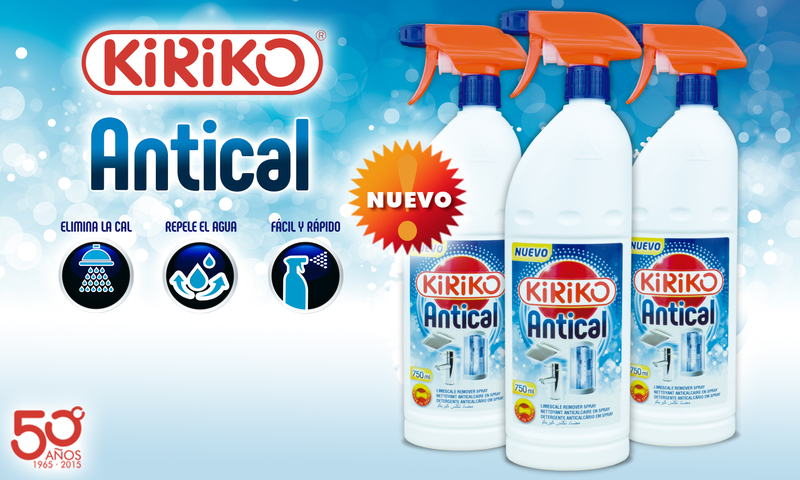 Discover KIRIKO’s new and effective anti-limescale product. In KIRIKO we know that there are many ways to eliminate limescale in your home, however, we recommend the use of specialized products to increase effectiveness and not damage surfaces. The Limescale is a residue that remains in any place in which the water has been deposited, since when it evaporates it leaves the limescale residue that it contains embedded. Our 750 ml foam limescale cleaner not only removes limescale quickly and efficiently, but thanks to its foam diffusion gun you can spray in a concentrated way on the area you want. The following places are particularly sensitive to limescale build-up in the bath: the toilet, the tiles in the bath or shower, especially between their gaps. We advise you to spray on the surface to be cleaned and let it act for 10 minutes, this way we will avoid them getting dark. In the faucet of the toilet or bathroom apply the product at a time of day where you will not be using it. Spray the antical in foam on the faucet and let it act a little more time. Then remove it with a sponge or damp cloth and, if you dry it, the shine will be spectacular. In these surfaces in which the lime is embedded with greater force we advise you to do this type of cleaning once a week or every two weeks. As you can see the cleaning of limescale can be simpler if you use a suitable product as they are specially formulated to remove it without involving an excessive effort. We are sure that the KIRIKO foam anti-scale gun cleaner will save you time and money in your household cleaning. The 5 essential cleaning products at home. Hygiene in your bathroom is essential, but not all the products provide you with the best protection.